In the lengthening late summer shadows of a hot August evening in 2006, the finely patinated sign of the Cavalier Hotel caught my eye. I was en-route to the East River Water Taxi for some farewell photos of the grand quartet of smokestacks that stood over ConEd's Hudson Avenue power plant, three of which would vanish from the skyline later that year. Plodding my way down East 34th Street toward the docks, I paused for two point-and-shoot photos of the Cavalier, then turned and headed for the waterfront. 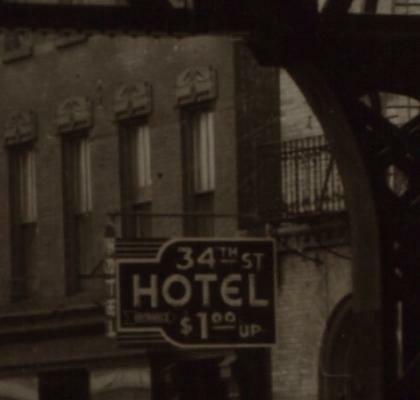 The Internet has surprisingly little to say about the Cavalier, which seems to have opened as the 34th Street Hotel in 1901. Walter Grutchfield compiled some details on the hotel's history back in 2003, shortly before it closed. "It is still in operation," he wrote then, "but it is difficult to say to what extent it operates as a hotel in today's sense of the term." Six years earlier, the Cavalier turned up in a short piece in the New York Times. "21 Face Drug Charges in Midtown Hotel," read the headline. The Cavalier, it seemed, had become a "stash house" for enthusiasts of such tasty treats as cocaine, crack, and heroin. The story described one particularly irascible dealer who apparently plied his trade in the building's dim hallways: "One night the man grew angry when a customer would not buy drugs and stabbed the customer and the customer's dog." I went back to the Cavalier on a summer morning in 2009 to see if I couldn't get better photographs of its old neon sign. Too late: it was already gone, together with the hotel's "flagrant illegal activity," and its dog-stabbing crackheads. Today the former Cavalier Hotel is up and running again, as the evocatively named New York Budget Inn, a "newly refurbished budget-priced boutique hotel" that offers "the best price to stay in NYC that doesn't involve your buddy's futon." 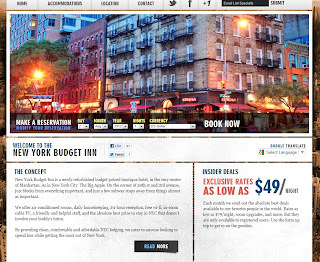 Since it has no neon sign to beckon would-be guests, the New York Budget Inn has a suave, come-hither web site instead. Like the sign, the web site's job is to draw in customers. But unlike the sign, the hotel's internet presence leaves no physical trace on the streetscape. It casts no red glow across the ceilings of the rooms within. • I am really enjoying the typeface for the 2012 London Olympics, and am fantacizing about seeing these letters rendered in neon. • Have you been following Debra Jane's roadside blogging? • Lascoff's sign is still hangin' in there as of July 31, 2012. • By of JVNY, some old signs in Borough Park at the One More Folded Sunset Blog. Hello, good text. Thank you for this information. 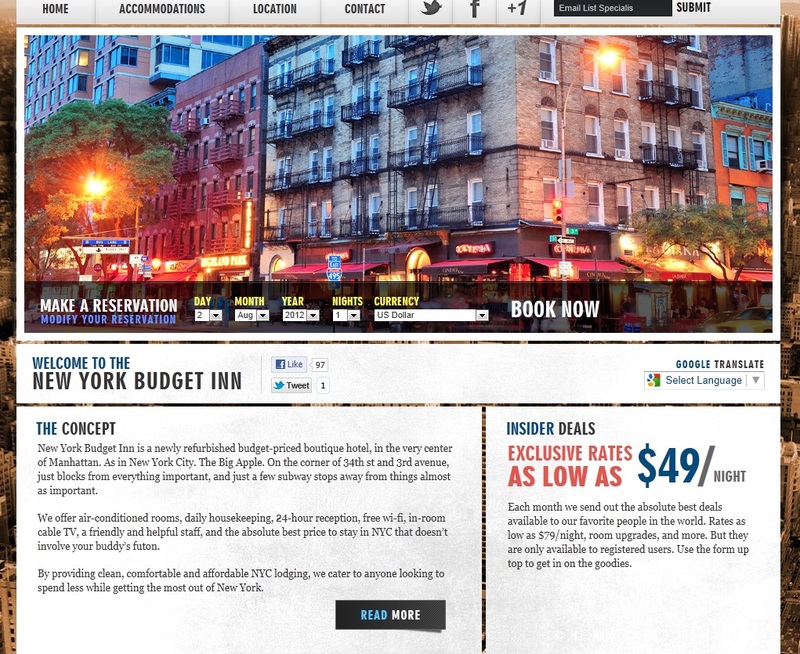 But I don't understand... Did Cavaliere Hotel give place for New York Budget Inn? Is this a good place nowadays?